This is the Carp Dragon, a.k.a. Yu Lung, one of the Fiend Folio's Oriental dragons. 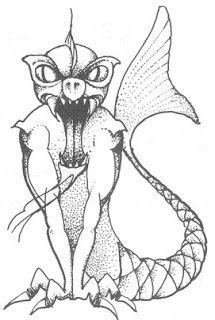 The original drawing from the Fiend Folio.